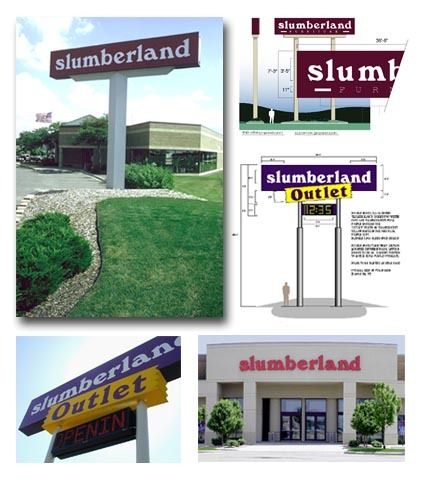 Slumberland’s signage provides clear recognition and image continuity, tastefully presented and scaled to the surroundings. Signia’s team of managers and designers provide ongoing environmental graphic design expertise for more than fifty retail locations. During the development of the site, Signia works with Slumberland, the project architect, and the general contractor to prepare the site and coordinate installation.